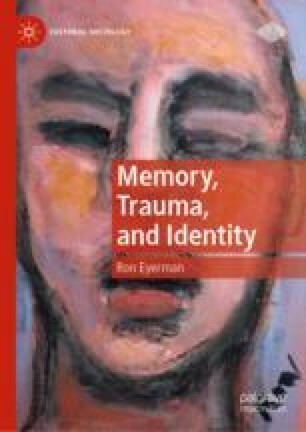 In this chapter, I provide an outline of the theory of cultural trauma and describes how it applies to slavery in the U.S. and the formation of an African American identity. With this in mind, I explore the concepts collective memory and collective identity and link them to a theory of intellectual generations. I propose that the notion of an African American emerged as part of the efforts of a generation of black intellectuals to come to grips with their individual and collective rejection by American society after being promised full integration following the Civil War (1861–1865). Slavery—not so much as an actual experience, but as a form of memory—was a focal point of reference in this process.